The legal logic says that the funds confiscated in Britain from Zamira Hajiyeva, the wife of the ex-chairman of the International Bank of Azerbaijan Jahangir Hajiyev, should be returned to Azerbaijan, the Member of the Legal Policy and State Building Committee of the Parliament of Azerbaijan Gudrat Hasanguliyev said. "I believe the relevant agencies of Azerbaijan should also appeal to the British side. 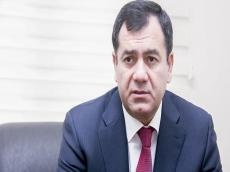 If there are evidences of the appropriation of funds of the state bank, the evidences should be submitted to the UK court," Hasanguliyev added. The Azerbaijani MP noted that after the completion of the trial, Azerbaijan should send an appeal for the return of these funds to the country. The UK government has passed a new anti-corruption law. According to the law, the owners of movable and immovable property with a high value must submit a declaration of the funds spent on the property. Hajiyeva was demanded to submit a declaration for a villa worth £25 million, but she could not provide information. As a result, the property was confiscated by a court decision. The case has now been transferred to the Supreme Court of Great Britain.